DANCOCK'S DANCE is an exciting new piece of immersive theatre from the creative team behind 2016's smash hit HOGTOWN: THE IMMERSIVE EXPERIENCE (which made the ‘must see’ and ‘top ten’ list for Globe and Mail, Toronto Life, NOW Magazine, among others). World War One soldier John Carlyle Dancock returns from France shell-shocked and haunted by the sins of war. He is also judged unfit for society, and so is committed to an insane asylum, trapped by his own conscience and by the rigid rules of authority. In his struggle to survive, Dancock manages to find redemption and deliverance - and the possibility of love - when he connects with a fellow inmate, the mysterious Dorothea Gage. In this groundbreaking production of Guy Vanderhaeghe’s play, THE HOGTOWN COLLECTIVE re-imagines Dancock’s Dance with original music and dance. This immersive show takes place in Toronto’s historic Campbell House Museum, transforming it into the mystifying asylum. 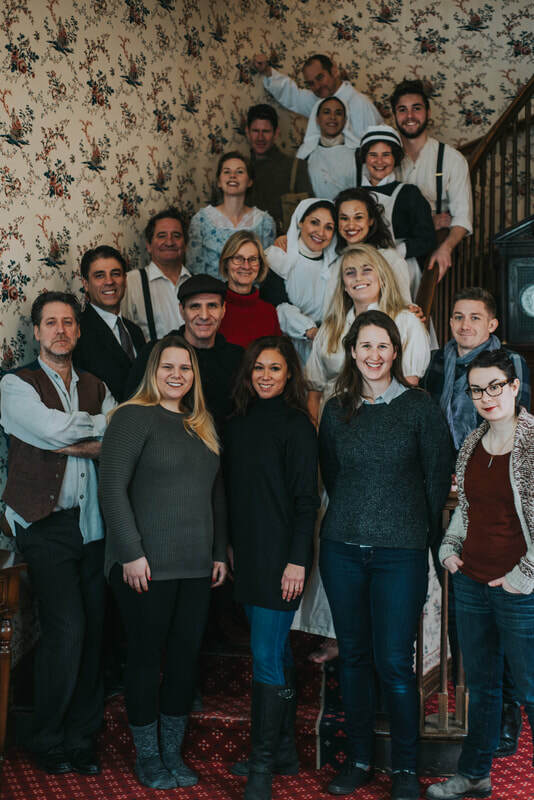 Audience members are once again invited to experience the play from room to room in the newly-converted asylum, brought to life with powerful performances and eye-popping set & lighting design. Dancock’s Dance will leave you breathless, thanks to the stark lyricism of Vanderhaegue’s poetry. It will also redefine the possibilities of what theatre can be, and what theatre can do. Audiences will lose themselves in Dancock's Dance, and discover an unforgettable evening. This was a Canadian Actors' Equity Association production under the Artists' Collective Policy. Daddy Lenin and Other Stories in 2015. Dancock’s Dance was first produced and performed by the Persephone Theatre in Saskatoon, Saskatchewan, on April 1st, 1995.